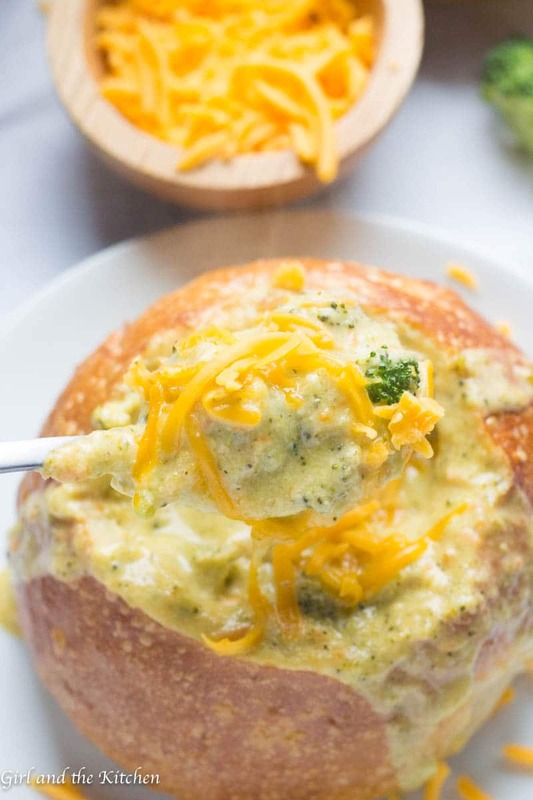 My version of the ever so popular Panera Broccoli Cheddar Soup is loaded with flavor and comfort galore but comes together in just 30 minutes on your stovetop! 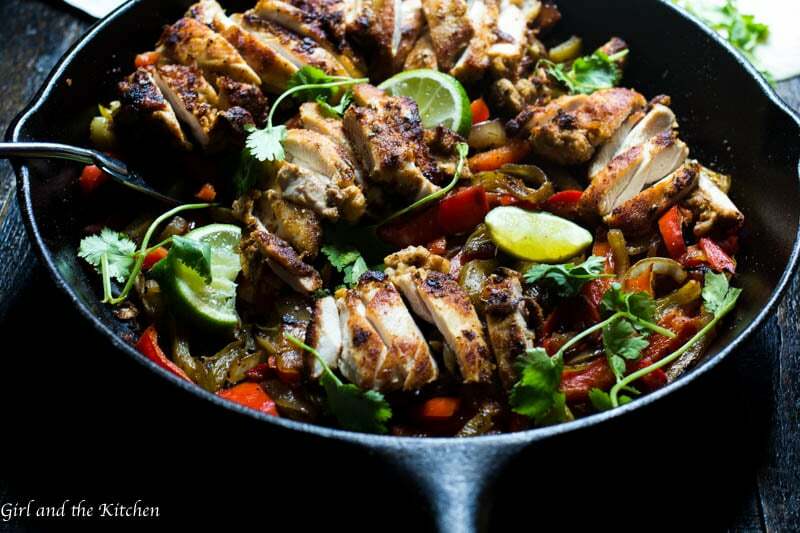 Plus I have a nice tip to decrease the calories and still keep the flavor! Here in Chi-town our winters tend to be unpredictable. And while this past January and February have been extremely mild and snow free…in the Chi one can never tell what lays ahead of us. For there have been years where it snowed into May. This unpredictability it’s inevitable. And for me when the cold starts nipping at our feet and the windows get glazed over with new morning frost, I need comfort food. And typically that comes in the form of soups. I have always had a soft spot for broccoli cheddar. It’s creamy, salty and savory. But most importantly it is super comforting. Whenever I find myself in Panera…it’s almost a sure bet that I will grab myself a cup of the delicious stuff and savor it up til the very last creamy drop. 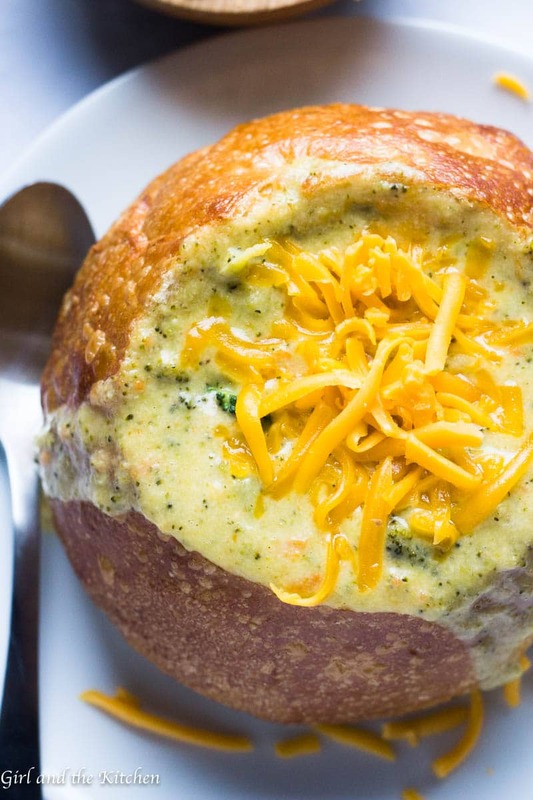 Because for me..the Panera Broccoli Cheddar soup is always a home-run. However, I figured I could make this soup fairly easily at home by figuring out the few extremely important ingredients that Panera’s soup needs to stand out. Plus when it’s done in 30 minutes who needs to go out to the restaurant in the cold. Grated Carrots: While it may seem extremely simple, these really do make the soup stand out. I particularly like it when I get one of those delicious little pieces of carrots onto my spoon. Just remember, you do not need to necessarily grate your own carrots like I did. 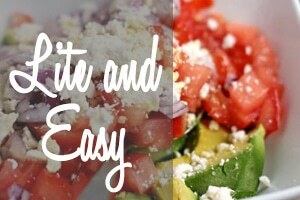 Instead, save yourself some time and buy the already grated ones from your grocer in the same area as they sell the refrigerated salads. 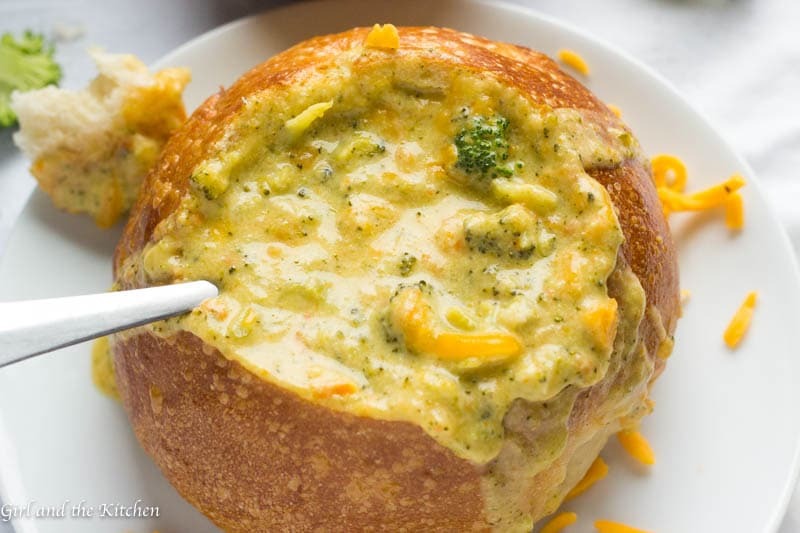 Nutmeg: The Panera broccoli cheddar has a tiny hint of nutmeg that is right there in the background. 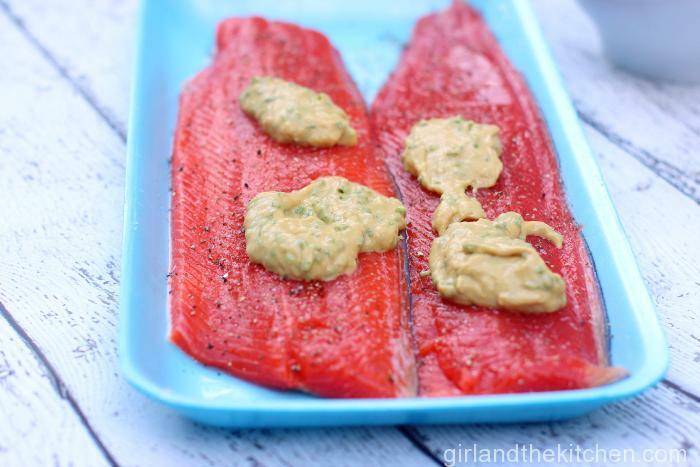 You do not need a lot as it will overpower, but a few grates of nutmeg makes a huge difference. Sharp Cheddar: I made the soup with all sorts of different Cheddars but the one that takes the trophy home is most definitely the sharp Cheddar. Plus when you use a quality cheese with loads of flavor you do not need nearly as much of it. Half and Half: So here is the situation with the half and half. IF you want the true essence, flavor and Panera likeness, then yea…you kind of have to use the half and half. It’s authentic. However, I made it both ways, with the half and half and with 2% milk and ate them back to back. And while the 2% milk did not have that authentic Panera flavor it was nonetheless delicious. If you are alright with the calories then go for the authentic. IF you want to cut down on the calories and still enjoy some deliciousness then go ahead and use the milk. You will be happy either way. The Texture: Panera has a creamy yet chunky texture. I achieved this by placing a stick blender into the soup once it was done cooking and just whizzing it through once or twice. After that I added the cheese in so the soup keeps its body and cheesy creamy texture. 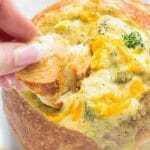 The Bread Bowl: I always buy a few sour dough bread bowls at Panera to really give that authentic feel. 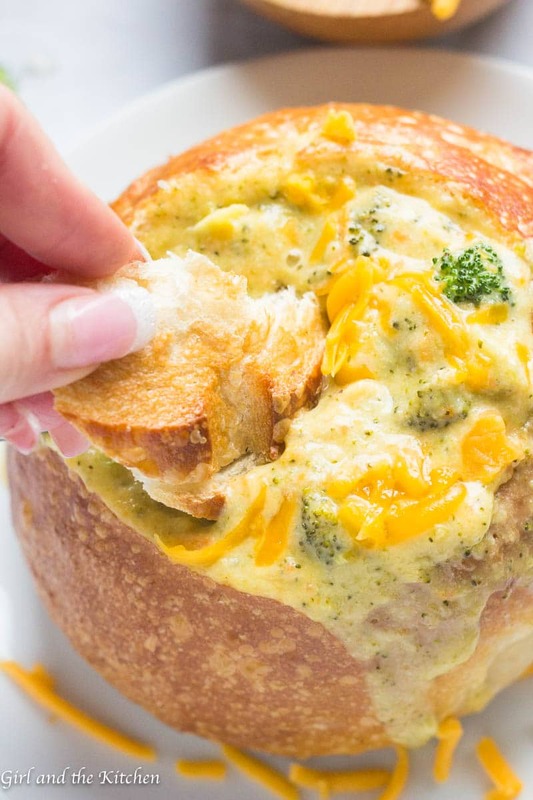 Because nothing is better than dipping that crusty bread into the creamy goodness. 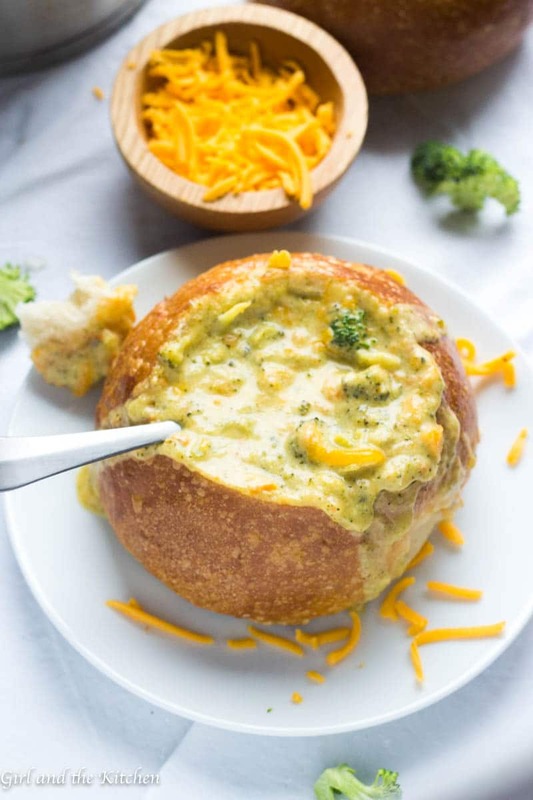 On an extremely gross day here a few days ago, I happened to whip up a batch just so that I could rephotograph it and nothing felt better in my belly than this deliciously wonderful copycat Panera Broccoli Cheddar soup. Warm and comforting in all its glory I ended up licking my spoon clean with every mouthful. 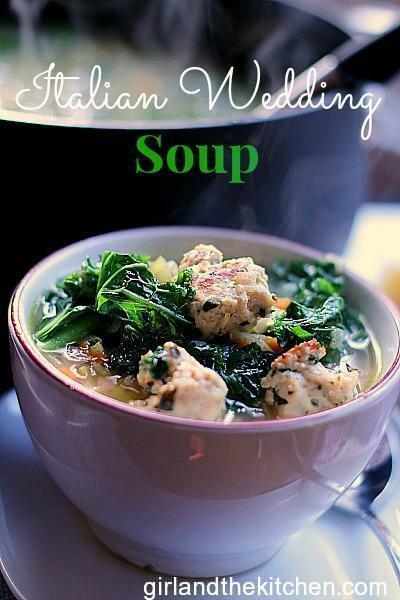 Check out my Italian Wedding Soup. I started out with 2 tbsp of butter in my large dutch oven and 1 large chopped onion plus two medium carrots, shredded. I seasoned them with salt and pepper and let them sweat for a bit. No need for color remember that, just get those juices flowing! Once they are all nice and translucent sprinkle in about 1 tbsp of flour. And toss it with all the veggies. Let the flour cook out for about 1-2 minutes and then add in your half and half mixing as you do so. Now I made mine with almost ALL half and half. Feel free to make it with some chicken stock for a lightened up feel to it. 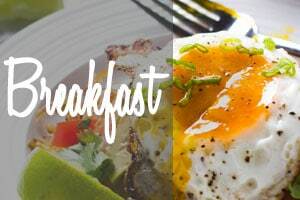 You can also use skim milk, lowfat milk etc. But I really wanted it to be nice and creamy. Then add in about 4 cups of broccoli florets, salt, pepper and some fresh grinds of nutmeg. The nutmeg makes ALL the difference. Now just let it simmer over medium heat until your broccoli is nice ant tender, about 20 minutes. Now at this point you have two options. You can leave it as is or puree it with a stick blender or a blender. Now comes the fun part. The cheese. I used really great Cheddar cheese here. But you can use whatever cheese you like. 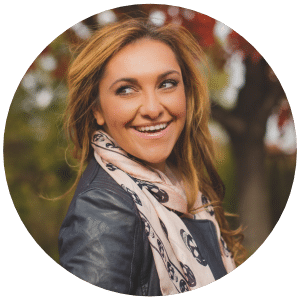 Be as creative as you want! But I like the sharpness and creaminess Cheddar cheese gives this soup. Then just mix it in. Simple as that. I kind of want to dive right in there....IF it's too thick, then thin it out with some milk. IF you want it a bit more rich, add a few splashes of half and half. 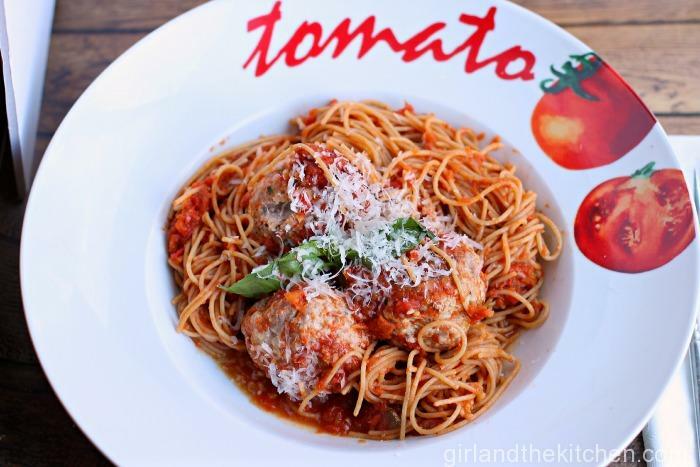 Serve with bread bowls or in regular bowls with cheese on the side for sprinkling. 1. Feel free to use milk instead of half and half. 2. Make sure you use the Sharp cheddar it really does a lot for the flavor. 3. 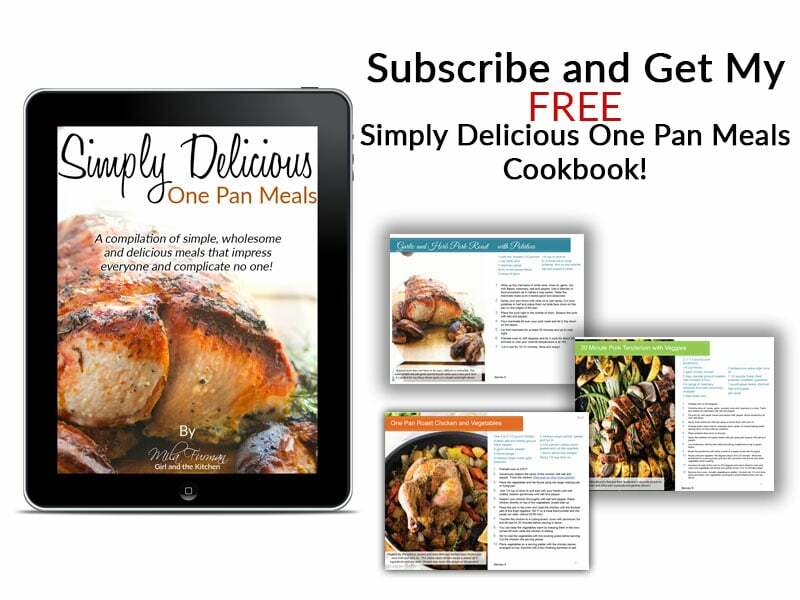 This soup freezes beautifully so make a double batch and freeze! 4. The nutritional information should be used for informational purposes only. Yum! I LOVE broccoli cheese soup. This looks PERFECT!! I can’t wait to try it. Pinning. I so wish I had a bowl of this right now!! It’s so cold and damp on the mountain. I’ll be trying this one next week! 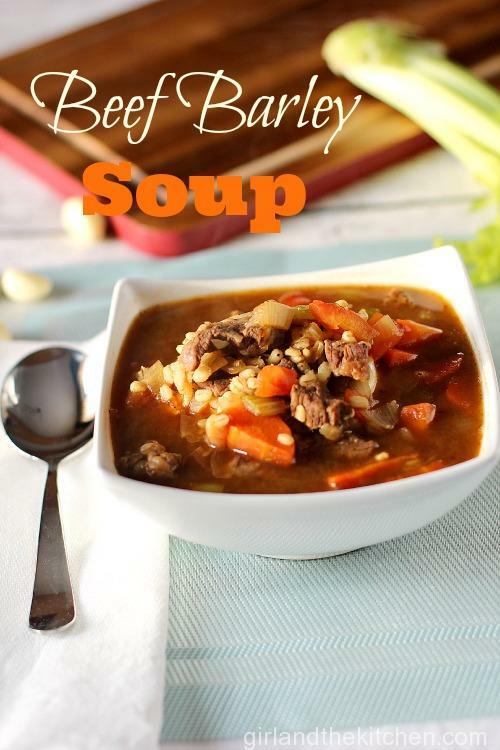 Soup is the perfect comfort food! Wow, this looks really great. I never would have known that the nutmeg was such a key ingredient. Loved the high quality of your photos as well. 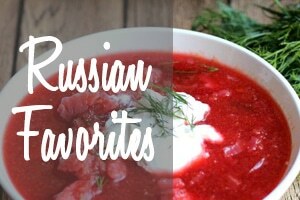 I can not wait to try these soups!!!! Please let me know how it turns out!!! Thanks Susie!!! Please let me know how you like it!!!! 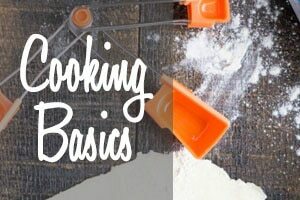 The recipe only addresses the first tablespoon of flour. When do you put in the second one? It’s 1-2 tbsp. The second one is optional.